Andrew is available to give keynote-style presentations at conferences, staff meetings and professional learning days. The following titles are offered as examples. In consultation with you, Andrew will tailor a presentation to ideally suit your conference or staff. The efficiency with which we deliver course material. The power of feedback provided to students. The levels of student engagement and participation in learning. It’s not that we need to change everything we do, but we now have a smorgasbord of choices unavailable to teachers even ten years ago. Thinking strategically about how to leverage some of these choices can make us more effective whilst also saving time. It’s about teaching smarter, not harder! Feel inspired, challenged and liberated as you consider anew the contribution teachers can make to the lives of young people and the ways technology can help us to be more effective teachers. In this presentation, Andrew will explain why he believes it is necessary for teachers to adopt new approaches to teaching a new generation of learners. His intention is not to promote "high-tech" skills in teachers, but rather to encourage widespread adoption of easy-to-use technologies that are 'high-concept' and have the power to transform classroom interaction. In the last decade, informal communication between young people has been revolutionised by social networking sites, instant messaging, mobile phones and numerous other technologies that give them instant access to information and people any time, anywhere. In his presentation Andrew will show how any teacher is able to change the way he or she communicates with students, taking advantage of the very same digital communication tools that Gen-Y students use. Andrew is adamant in his belief that teachers don't need "computer skills" to transform their classrooms, but a willingness to question their 20th Century paradigms and rethink their role as an educator in a world where information is available on-demand and communication is instantaneous. He will show real-world examples of the ways in which teachers have used the ideas he promotes, across a range of subjects and year levels, to make a profound impact on student engagement and learning outcomes. 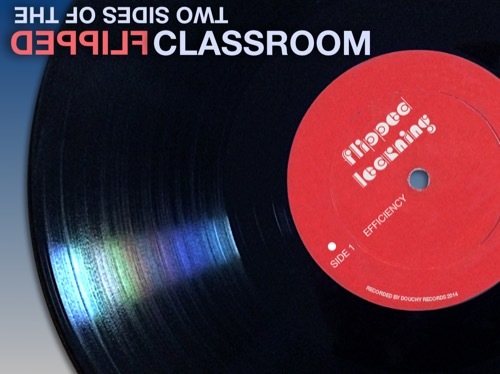 These days "flipped learning" is a hot topic. 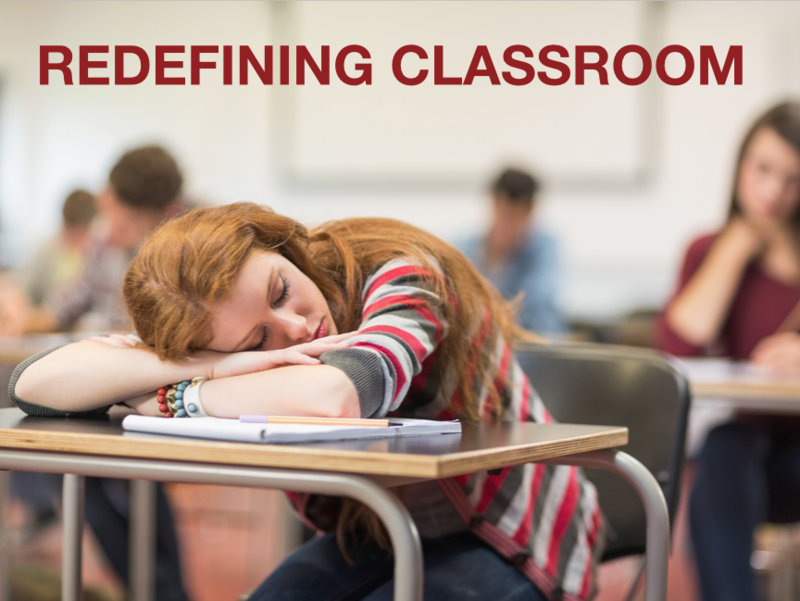 In this presentation, Andrew Douch will lead an exploration of the flipped classroom concept: its advantages, disadvantages, possibilities and pitfalls and and some of the best and easiest ways to both save time and be more effective. Andrew Douch started flipping his classes since before the term "flipped" was even coined. Nine years have passed since he stood in front of his class and said "We're going to do things differently - I'm going to start teaching you out of class time, and we'll start using class time differently..." As a result his students' engagement with learning soared, and their understanding deepened. Andrew will share his experiences as well as some of the hardware and software that he finds to be most useful, and tips and tricks he has discovered for using them effectively. Participants will be surprised how easy it is nowadays to make podcasts, screencasts and vodcasts, and be challenged to think differently about how they use the valuable class time that is created. The most often-cited obstacle to teacher creativity, innovation and effectiveness, is their perceived lack of time and the stress which that causes. But it doesn't have to be that way! Most teachers work in ways that are inefficient and repetitive - at least some of the time. The good news is that improving efficiency is both possible and technologically easy. The real challenge is not in acquiring computer skills but in re-thinking inefficient workflows, assumptions and habits. Andrew attributes his success in the classroom, his awards for innovation and his ability to manage a busy professional development schedule (not to mention his personal sanity) to the strategic use of technology which frees up time and head-space to work individually with students and colleagues, to think creatively, and to experiment with ideas and new tools. 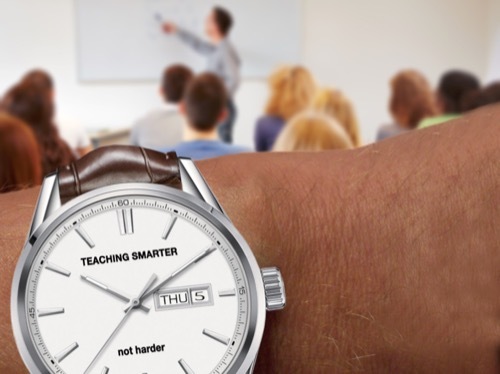 By Automating the parts of your teaching that can be automated, you have more time for those that can't be automated. It is these non-automatable facets of teaching which often have the biggest payoffs in terms of student engagement and performance. In this workshop, Andrew will show you how. Change is uncomfortable, but it also provides exciting opportunities for those who are willing to re-invent themselves. Social networking, the democratization of news and media, instant access to information, instant communication with people, de-specification of work hours and an increasing expectation for work to be meaningful and enjoyable, have changed society more profoundly than many of us realise. But how will these societal changes impact on schools, which still, largely operate in a 20th Century, Industrial-age model, with a “clock in - clock out” timetable and production-line assessment processes. There is no doubt that we are on the cusp of some of the biggest changes to take place in education since the industrial revolution. But what will those changes look like? And how can we position our teachers and schools to thrive? In this presentation Andrew will predict the changes we will see in education in the next half century. Many of these changes are already apparent in incipient stages. He will also discuss the aptitudes that teachers will need, in order to be relevant to the lives and learning of young people. Andrew will show how some teachers are changing the way they interact with their classes, taking advantage of new media and social networking platforms. The world in which our students are growing up, is very different to the one in which their parents were raised. The technological advances are exciting and present us with numerous educational opportunities, but they also raise numerous issues for teachers and parents, whose imperative is to keep our children safe and healthy. How can we as parents and teachers make the most of iPads, notebooks and the internet while safely side-stepping the pitfalls? In this presentation Andrew will discuss with parents the pedagogical and social imperatives for the changes taking place in your school, and how parents can help to support us to usher in those changes safely and effectively. He will also discuss with parents how they can help to guide and support their sons and daughters in their use of technology and importantly to avoid its perils. 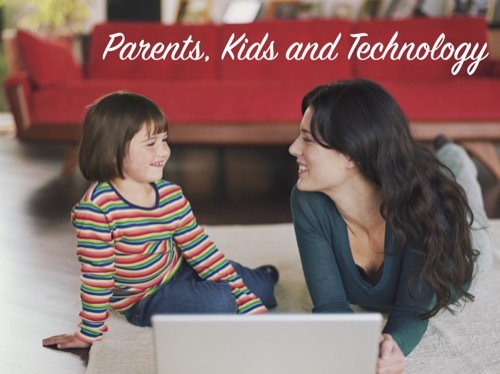 Some of the practical advice provided will include filtering your home network so that kids don’t inadvertently stumble onto inappropriate material, setting parental controls on the device and router-based timed access control to restrict your child’s internet to certain times.